Quake Defcon 28" LED Light Bars are perfect for any environment or application. Defcon series utilize high powered 3w CREE LEDs which have lifetime of over 50,000 hours. The CREE LEDs create a bright 6000k temperature white light which is used in a spot and flood beam pattern to have your entire range of view covered. 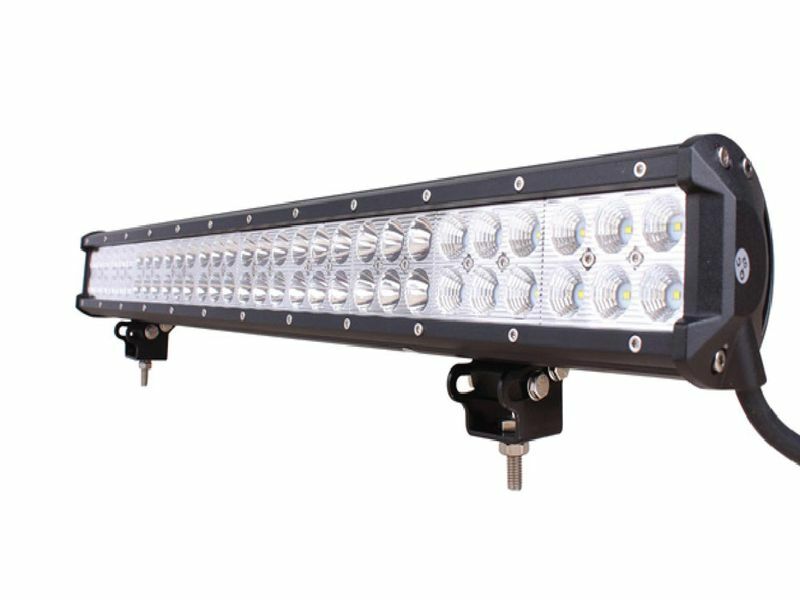 The light bar consists of a black aluminum die-cast body and a sealed polycarbonate lens, this allowed the light bar to be IP67 waterproof rated. For even more confidence, Quake offers a 1 year warranty on their light bars. Install is a breeze with included zinc alloy mounting hardware.